Connor is the Founder and CEO of Sneaker Control. He is responsible for designing the site, bringing you high quality sneaker videos on YouTube, with high quality sneaker pictures on Instagram. The LeBron 10 "Windchill" started it all for Connor. He is very knowledgeable when it comes to sneakers. Connor plays basketball so he gets a lot of performance shoes. Connor looks to be an athlete or a photographer. 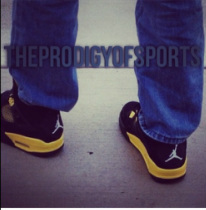 Sneakers and sports play hand in hand. He is very excited to help people with all the sneaker news, release dates, and all things sneakers. He looks forward to getting more people to know about Sneaker Control.